PicoQuant proudly announces that the FluoTime 300 fluorescence lifetime spectrometer is now available with double monochromators in excitation and emission. 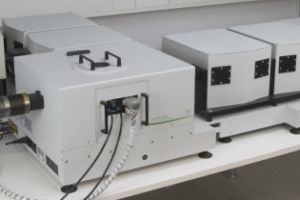 Due to the very high stray light rejection of these monochromators, the signal to noise ratio of the spectrometer is increased to more than 29.000:1 (RMS) using the standard water Raman test. Even samples with a very high scattering contribution can now be studied with extreme sensitivity and ultimate temporal resolution. PicoQuant proudly announces the inclusion of the LINCam, a photon counting camera manufactured by Photonscore, to its line up of single photon sensitive detectors. 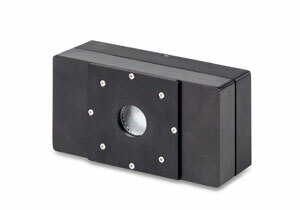 The LINCam is a single photon counting device working in the time domain that provides position data via patented procedures. Pairing the LINCam with pulsed light sources allows turning any conventional fluorescence microscope into a powerful, scanning-free, time-resolved imaging instrument. Using it in conjunction with off-the-shelf optics makes it suitable even for larger scale applications such as Light Detection and Ranging (LIDAR). 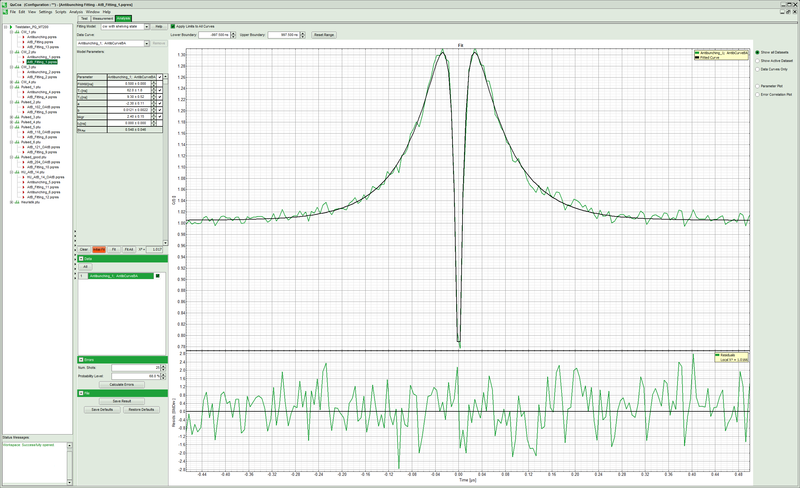 PicoQuant has released the QuCoa software package, an integrated solution for data acquisition and analysis using the unique T2 time-tagging mode of PicoQuant's TCSPC electronics. QuCoa is aimed at research areas relying on coincidence detection such as Hanbury-Brown-Twiss setups to study single photon sources (g(2) / antibunching), quantum key distributions (QKD), general quantum optics or the study of entanglement using Hong-Ou Mandel setups (HOM). 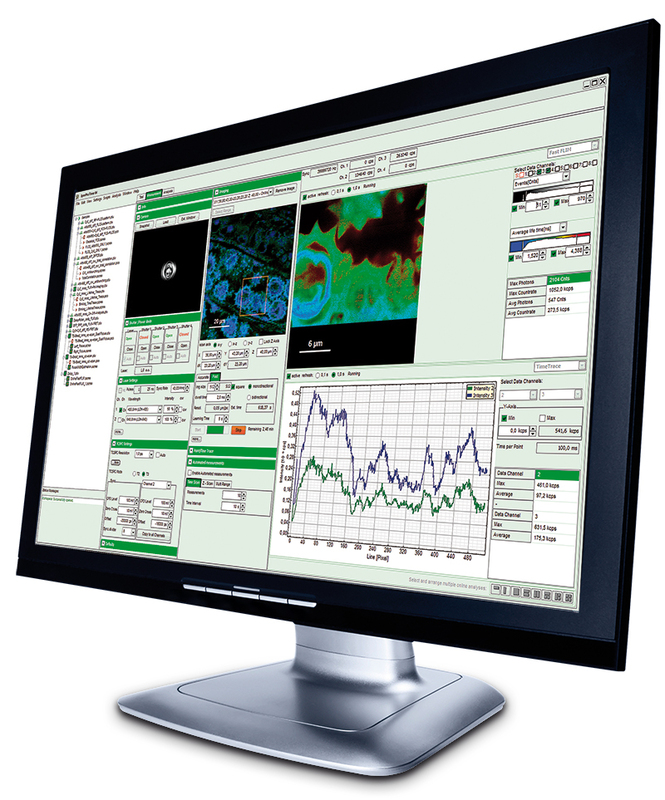 The software offers special analysis routines for coincidence correlations as well as for coincidence counting applications. 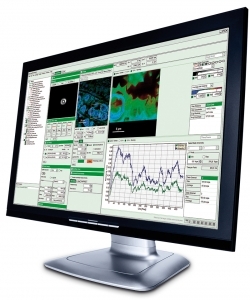 PicoQuant is releasing a new version of the SymPhoTime 64 fluorescence imaging and correlation software package for the time-resolved MicroTime 200 microscopy platform. Beyond regular fixes and improvements, this update includes a special highlight for rapidFLIM users. 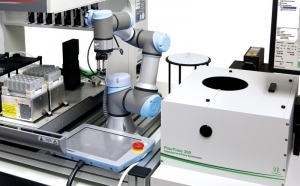 Novel reconvolution fitting models (patent pending) are now included for correcting detector pulse pile up occurring in fluorescence lifetime imaging (FLIM) experiments performed at high count rates. These new models extend accurate fitting and analysis of rapidFLIM data to cases where multi exponential lifetime decays are involved. 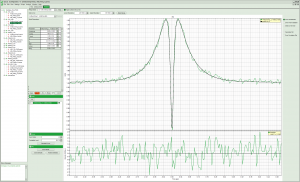 One of the most valuable tools for a spectroscopist is time-resolved fluorescence spectroscopy, as it allows investigating excited state dynamics in molecules, complexes, or semiconductors. 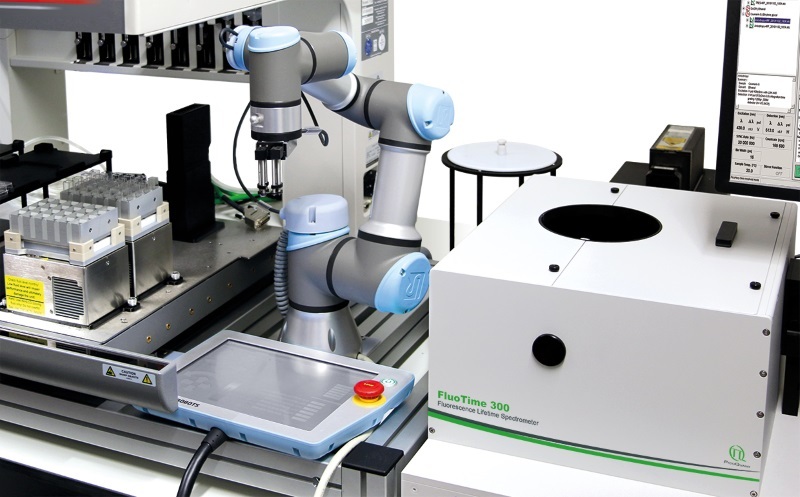 A recent software upgrade adding a remote interface to PicoQuant’s modular FluoTime 300 spectrometer makes it possible to interface it with external accessories, such as the liquid handling automation workstation Biomek NXP from Beckman-Coulter.